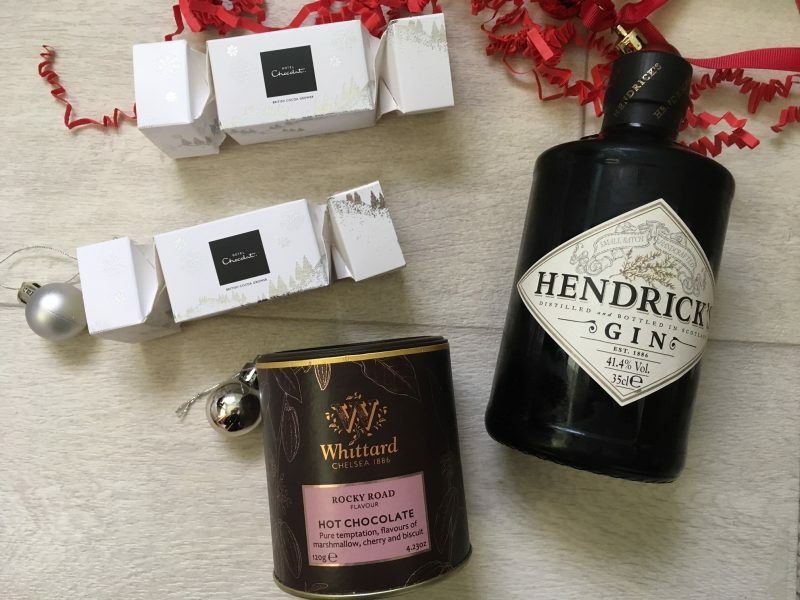 Just as we edge into December, I really wanted to showcase to you all this lovely gifting service I have just come across, which may help some of you who are stuck for presents this year. 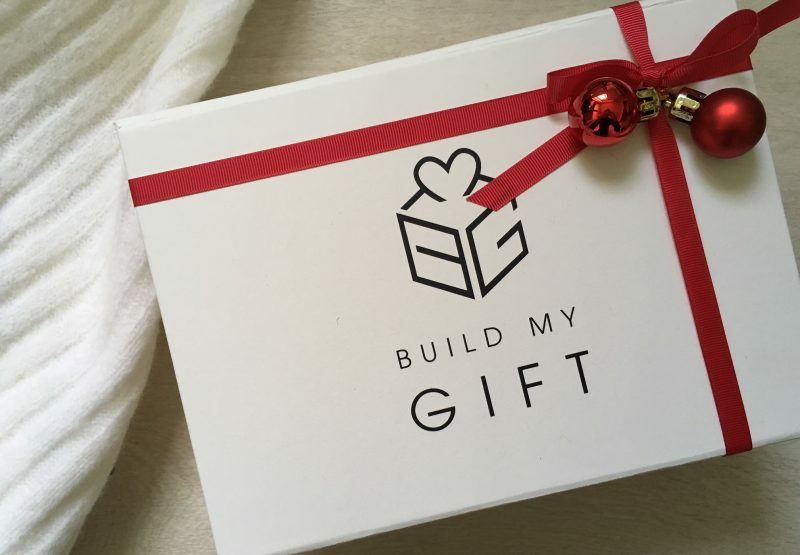 Introducing Build My Gift – an online gift box builder, in which you can select numerous items to be packaging beautifully into a box, wrapped up and personalised to gift to whoever you wish. 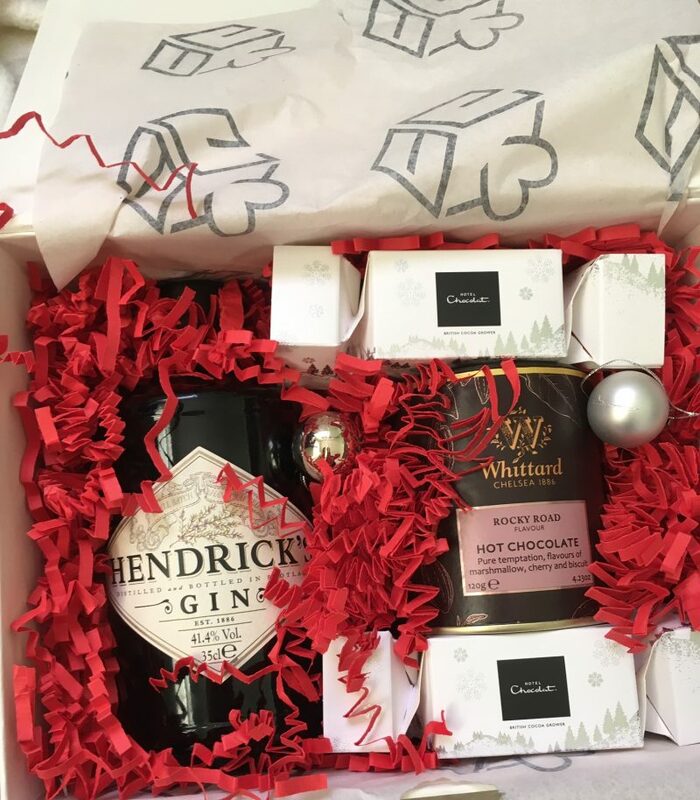 You start by selecting the items you’d like to include – and the website features a huge array of items – then you personalise a card/note, you then pay for the box, and let it get sent out to either yourself or the recipient in time for Christmas. 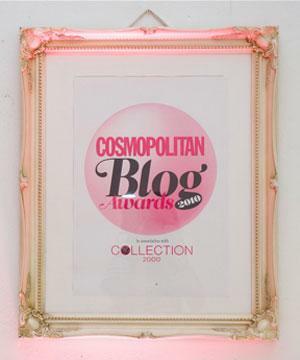 The beauty of it is that it lets you build a box packed with various items which make up a gorgeous gift for someone. 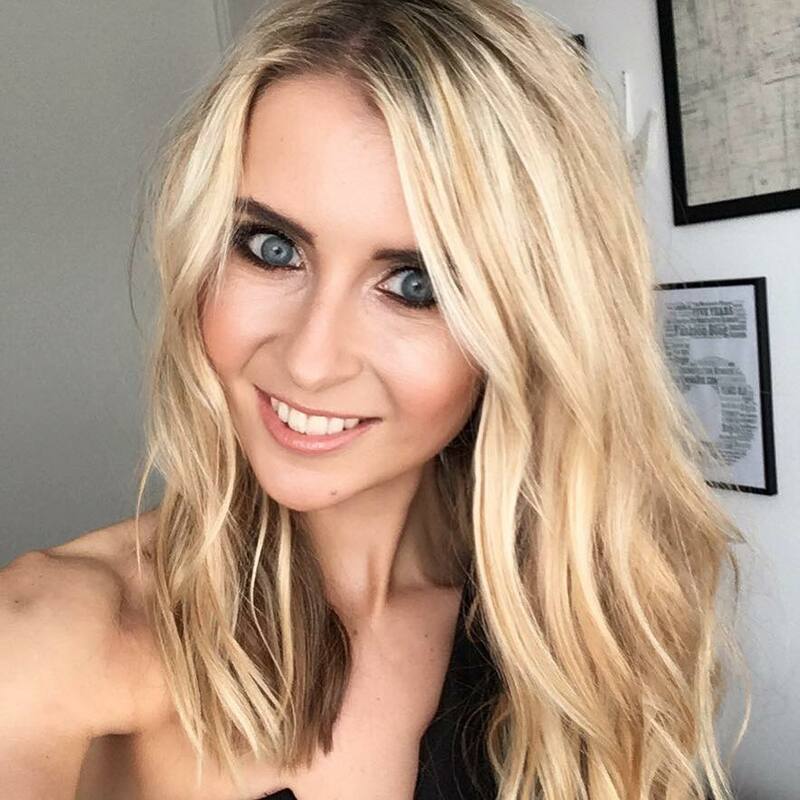 So for example, you might want to add a bottle of bubbly into the box, but at the same time add a few festive treats, beauty items or winter accessories. I received one of these boxes so I could test out how it works, and what the finished box looks like, and I have to say I was excited when it arrived, opening the box to check its contents! 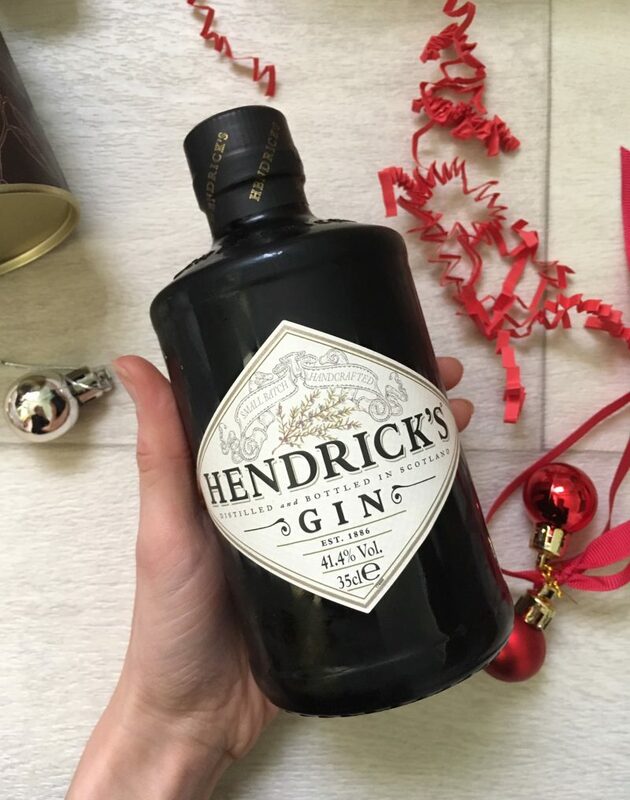 Nestled in red Christmas shredded paper was a bottle of Hendrick’s Gin – one of my absolute favourite tipples. 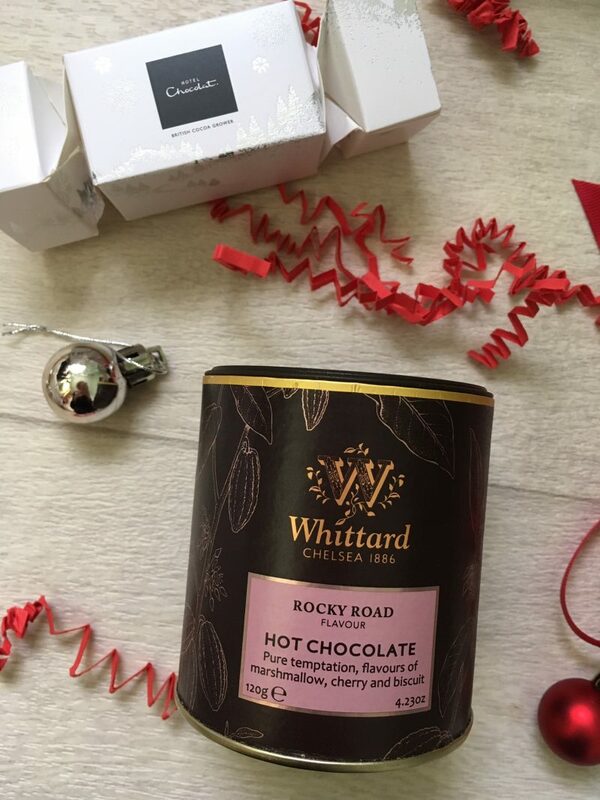 A tub of Whittard’s luxury Rocky Road Hot Chocolate was also present, as were a couple of Hotel Chocolat crackers, containing high quality chocolates. I have to say: what a box! 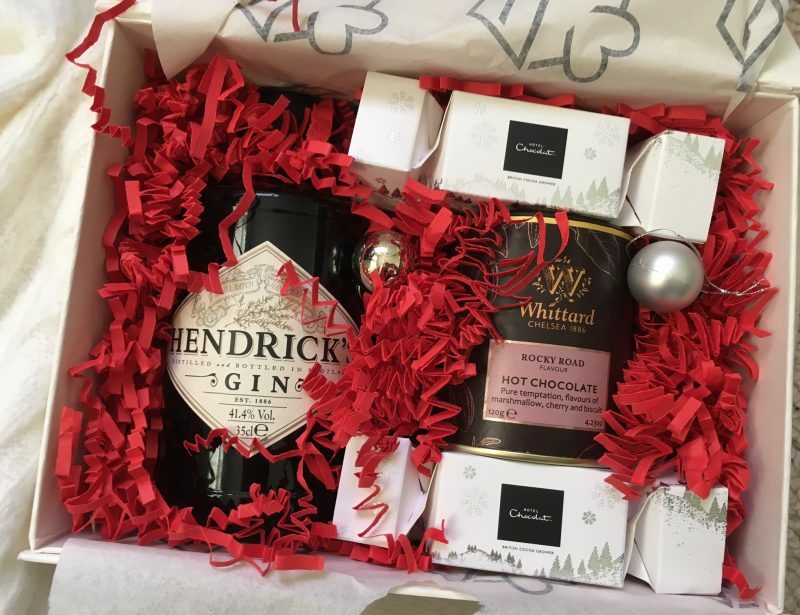 It contains two of my favourite most indulgent drinks, along with a few extra nibbles, and looks so premium and luxe when it arrived. 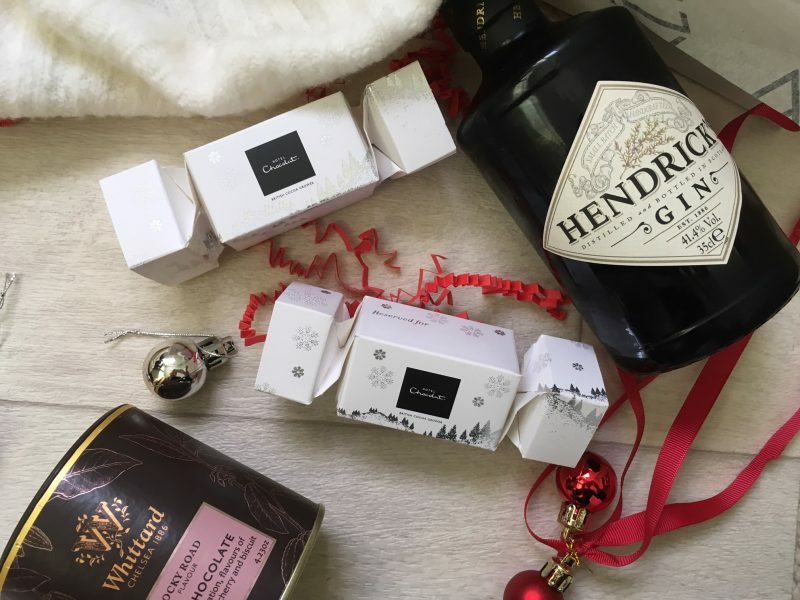 So that pretty much makes up the perfect box for the foodie like myself, but when I had a play around myself, I spotted some gorgeous scarves and gloves that can pair together, along with bottles of Prosecco, candles, beauty products, stationary, handbags and all sorts of ideal gifts. You can fill it up with items from as little as £2.50, or right up to over £50, it really depends on the box you are trying to build. 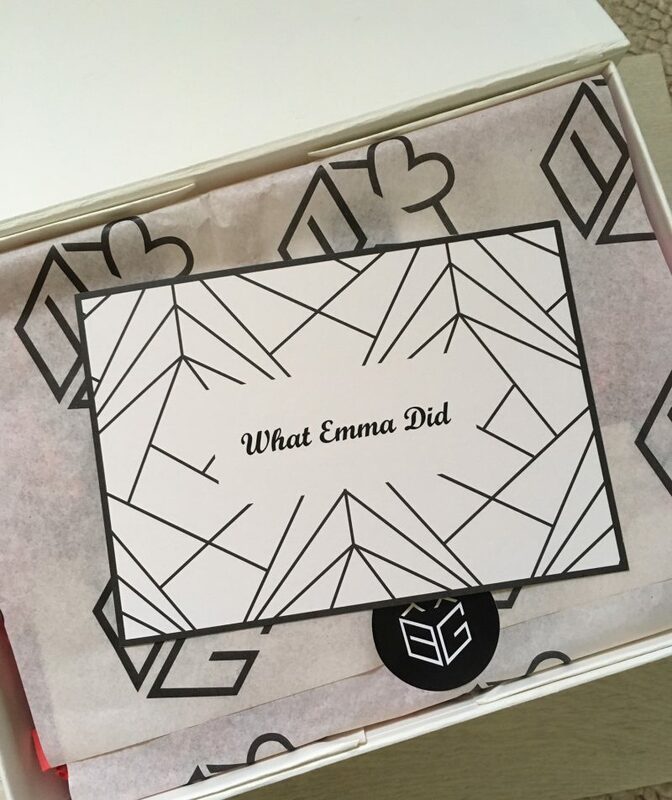 Take a look at Build My Gift for some inspiration if you’re a little stuck this Christmas!